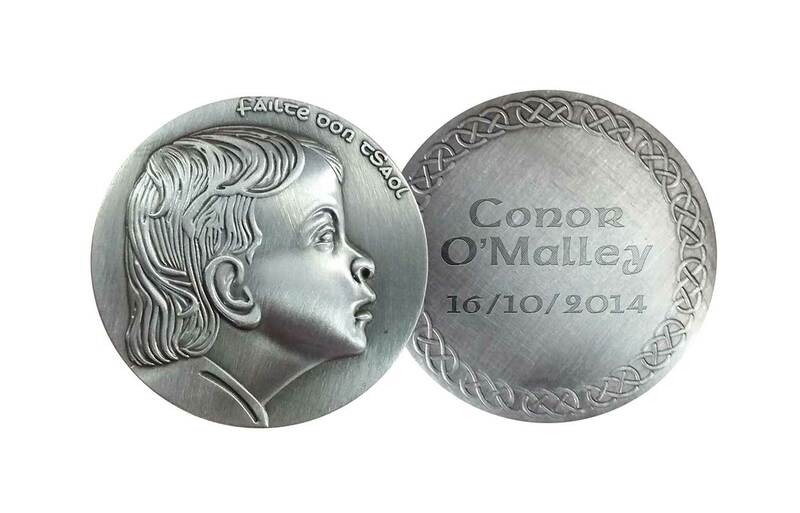 The Engraved Keepsake Coin is a traditional Irish gift given to the new baby at the time of their birth or Christening as a symbol of abundance in health and wealth. 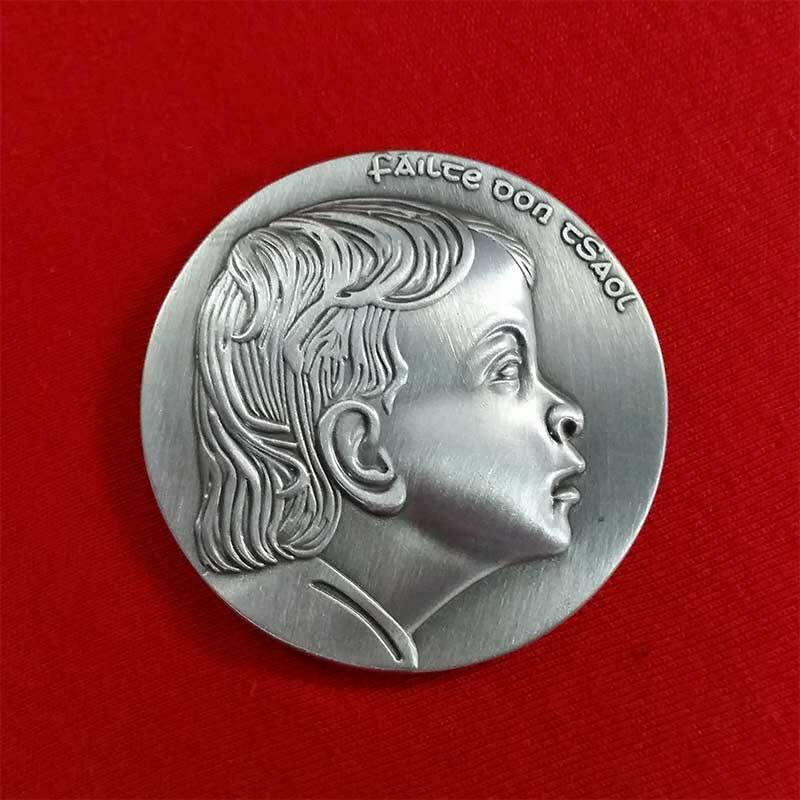 It is a lucky coin that is a real keepsake in every sense of the word, and a gift to be treasured. 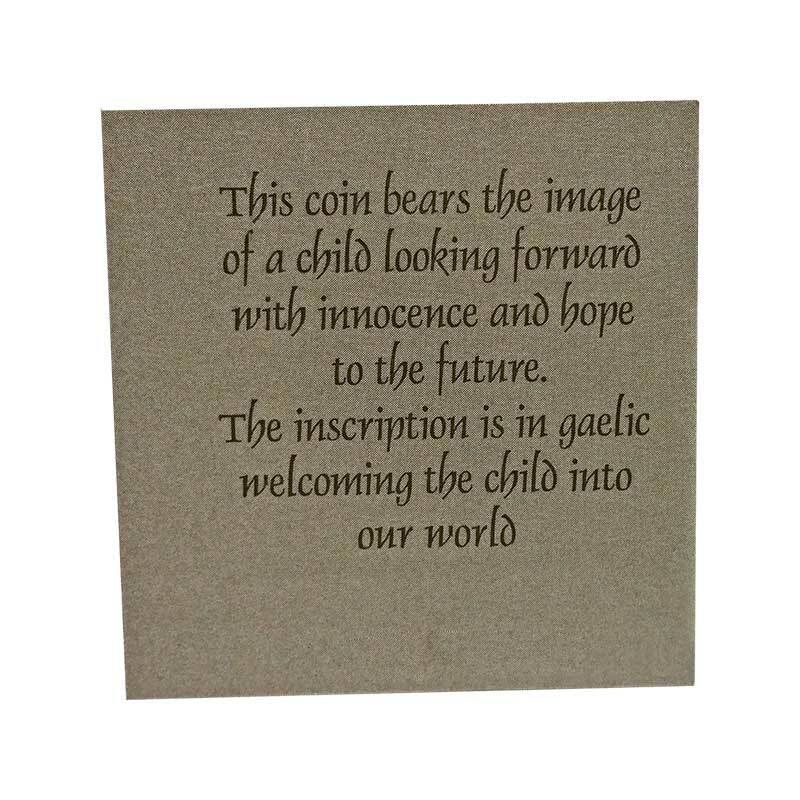 On one side of the coin is written Fáilte don tSaol, which means Welcome to Life. On the other side is the child’s name and date of birth or Christening date. 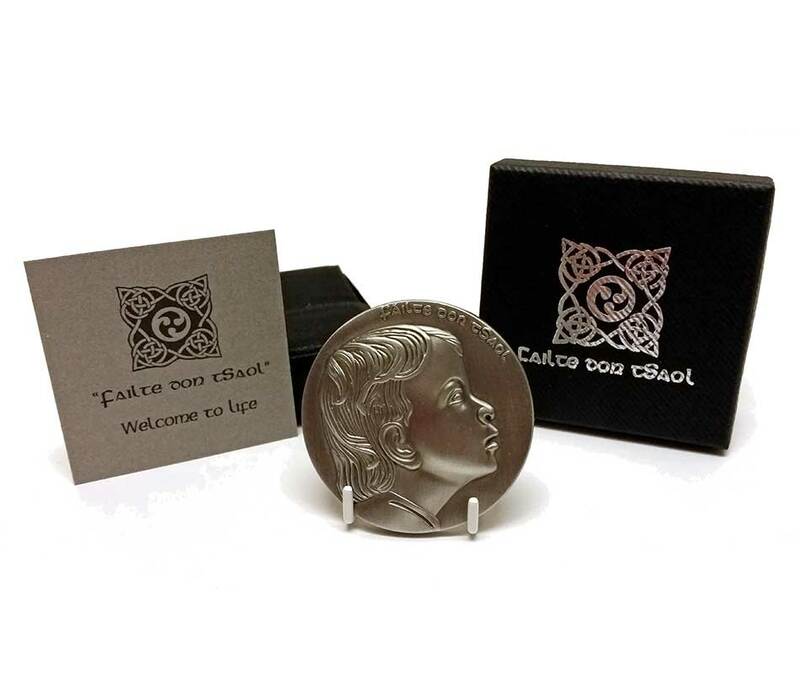 This heavy coin comes beautifully presented in its own gift box. 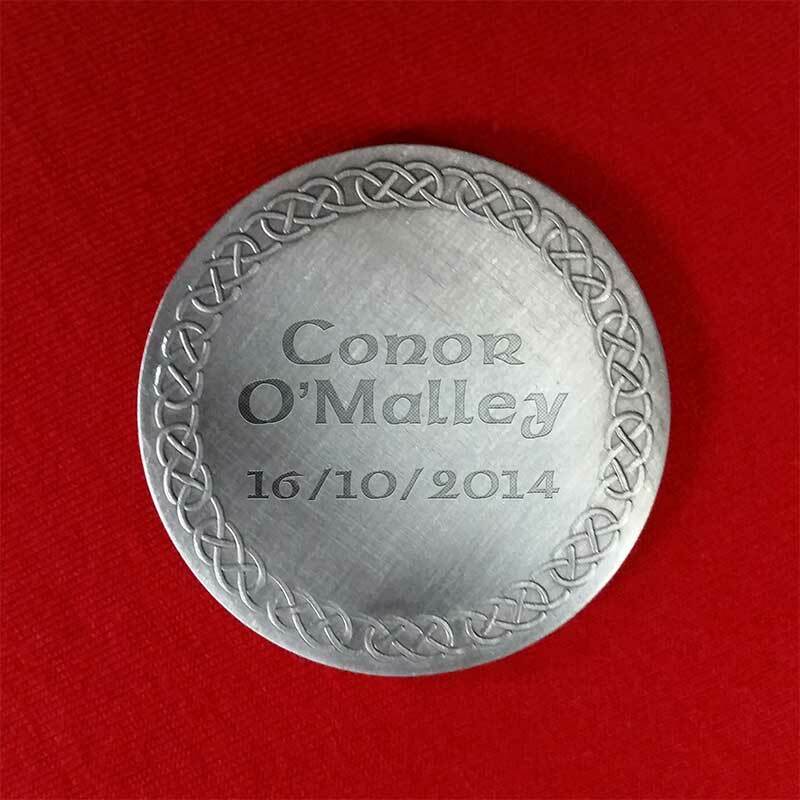 A small stand is also included to display the coin.